The Harvard Club of Naples cordially invites you to join us as we learn about the science of cooking by attending one of the HarvardX courses together! 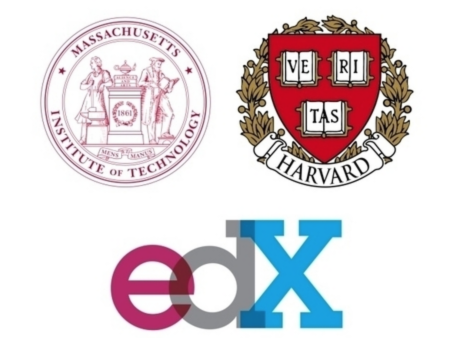 The Harvard Club of Naples will be starting an online, home study and group discussion program during the last week in January featuring the Science & Cooking: From Haute Cuisine to Soft Matter Science (physics) course on HarvardX. This is a wonderful course and is one of the most popular courses currently among Harvard students in Cambridge. The course offers both a wonderful "laboratory" component, where students cook food and do experiments related to the cooking, and a classroom component where you learn about the science behind cooking. It is for cooks and non-cooks alike. If you are interested in cooking, please join us in taking this six week online course with a local discussion group that will provide us with the opportunity to talk about what we have learned, compare notes, and share cooking ideas! To join the discussion group, please RSVP for this event using the link below. 1. Register with Harvard and get a Harvard Key password. You should have one if you have successfully logged on to the Harvard Club of Naples website. 4. In the first sentence, click on the highlighted language "online learning portal"
11. You are now in the Course content. You can use the white "Next" and "Previous" boxes towards the bottom left of the page to move forward and backwards in the course as you review the information. You can access the six course modules at your leisure or along with the discussion group, which will be meeting weekly on Monday afternoons from 2:00 to 4:00 pm starting on January 29, 2018. The discussion group will be meeting at the Quarry Golf lodge (8950 Weathered Stone Drive) in the common meeting room. You go in the front door and take your second right to the end of the hallway. The meeting dates for the discussion group are January 29th; February 5th, 12th, and 19th; and March 12th and 26th. Click here to register for this discussion group! Place: Naples Regional Library, Conference Room, 650 Central Avenue. Cost: No charge to members.